Opening the AHCI function can improve the writing performance of the disk of the server. For details, please refer to the "Server Hardware Requirements". The following are the methods of opening AHCI function. 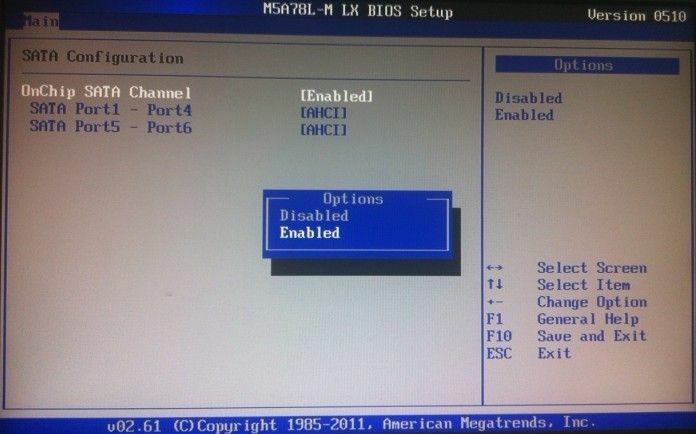 1) In the process of starting up the computer, keep pressing the "Delete" button of the keyboard, enter the "BIOS" setting. 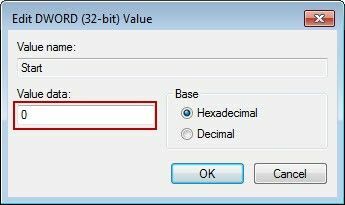 2) Find the SATA interface setting option, change the "IDE" mode to "AHCI" mode; press the "F10" to save and exit (Figure 1‑1). Notes: Because the BIOS versions of the main board are not the same, the positions of the "SATA interface" options are different. Recommend you can read the main board manual, and then modify the BIOS. 1) First set back to the original normal mode. 3) Click the "Start" button, enter "regedit" in the "Run" edition box, and click the "Enter" button. 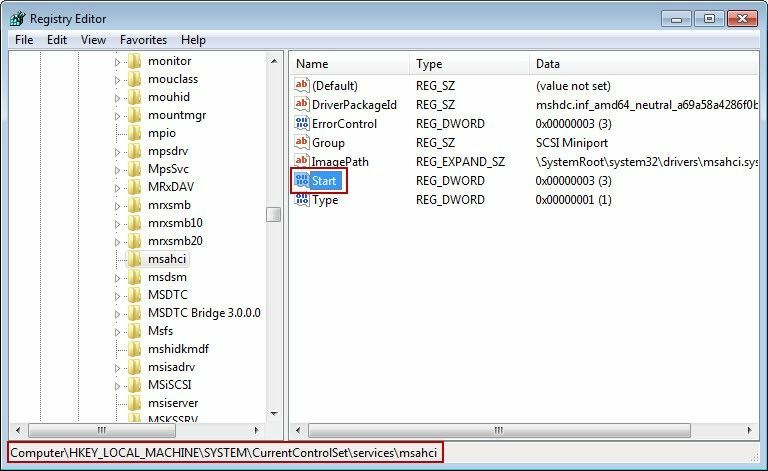 5) HKEY_LOCAL_MACHINE\SYSTEM\CurrentControlSet\services\msahci, and then click the "Start" (Figure 1‑2). 6) It will pop up "Edit DWORD Value" dialogue box, enter "0" in the "Value data" edition box, and then click the "OK" button (Figure 1‑3). We have created a video - "Modify the Registry".